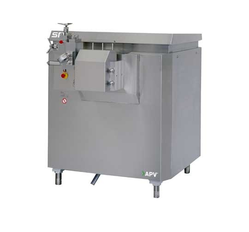 Our company is among the most sought after companies which deal in the manufacture and supply of Homogenizer Machine such as Homogenizers & Pump Spares, Homogenizer Machinery, High Pressure Homogenizer, Chemical Homogenizer, Flavored Milk Homogenize, Ice Cream Homogenizer, Juices Homogenizer, Pharmaceutical Homogenizer, Continuous Freezer and Ageing Vat. These are customized as per customer specification and are available in wide range. Apart from this, these are available at cost- effective prices. Our company has made the tremendous breakthrough in the manufacturing and supplying of High-Pressure Homogenizer. 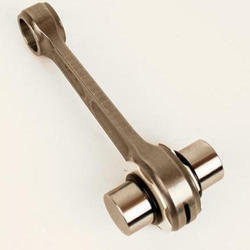 These homogenizers are manufactured by high-quality raw materials which are designed by the expert team. Besides, these are very solid and have fine finishing. Further, these homogenizers are available at our company vendor to our customers. Finally, these are available at leading industrial prices. Our company is a well- reputed company engaged in the manufacturing and supplying of Homogenizers & Pump Spares. We offer these equipments to our customers in many ranges, sizes and designs. These equipments are manufactured by using high quality of raw materials. These are available at leading market prices to cater to the pocket requirements of different clients. Looking for Homogenizer Machine ?